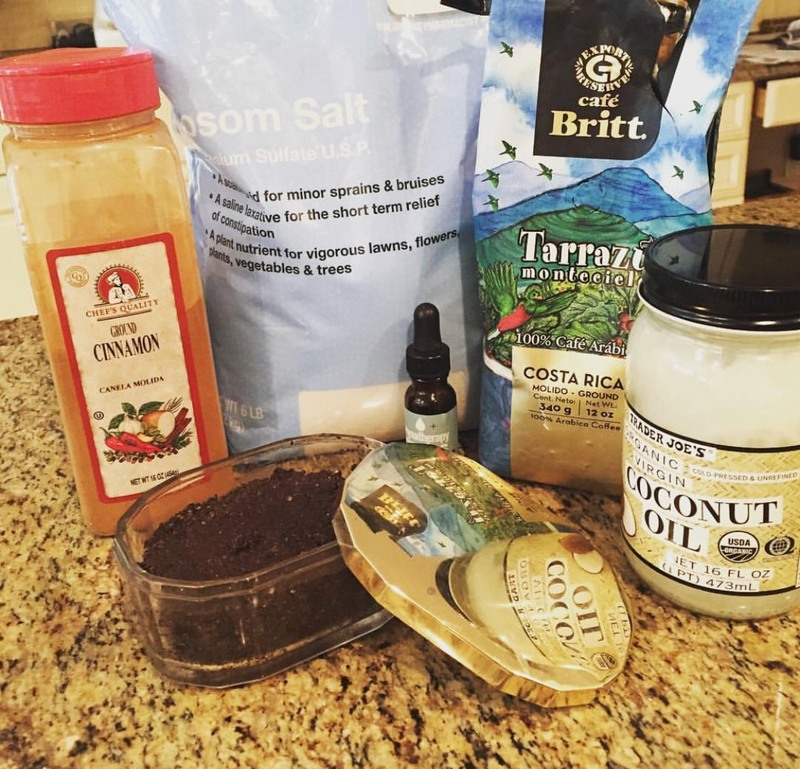 Wake up with this uplifting Coffee Body Scrub. When you let this sit overtime, the top gets dry & the coconut sinks to the bottom, so just make sure to mix it with a spoon before using. No need for lotion after using this due to coconut oil. Coffee is a great exfoliant for your skin. The caffeine in coffee stimulates circulation and has a tightening effect, which leads to a more radiant, glowing complexion and can help reduce cellulite. I came up with this recipe myself. My friend brought me back delicious smelling coffee from Costa Rica and I wanted to find a use for it (since I haven’t been drinking coffee lately.) I really liked the smell and effects of the scrub so continued to make it with a Fair Trade and Organic Coffee brand. I prefer to use this in the morning or before going out. The coffee and peppermint mix is uplifting. Click Here to see a video explaining why buying Fair Trade Coffee is the ethical decision. *Note: I made this for a few friends and family members and everyone except for one friend loved it with no problems. One friend’s shower drain was clogged after using it after once use. I did some online research on this and found that coffee can clog your drain, but also found that people used coffee to unclog your drain, so I am not sure. I have been using this for two months and have not had any problems.